Start making your reservations now! It's a great way to try some of the fancy, expensive restaurants in DC without breaking your wallet. 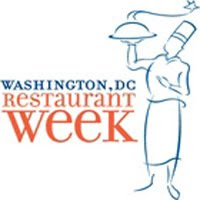 Jet Setters can do DC Restaurant Week in style without breaking the bank by taking advantage of Reston Limousine's special: a 30% discount on all vehicles from limousines to shuttles during Restaurant Week. Reserving a vehicle for yourself and a loved one or a group of friends is as easy as visiting our online Reservations page on our Web site!